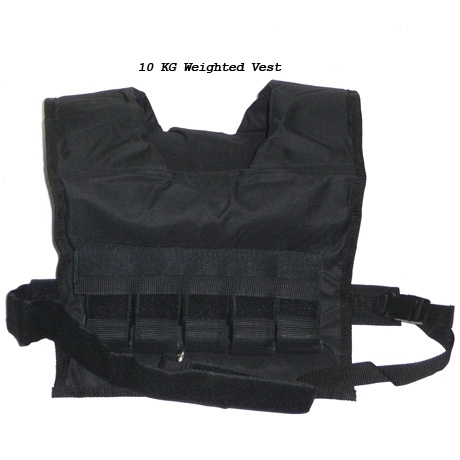 Adjustable Weighted vests comes with a full set of weights purchased. It can also be adjusted in 1lb. increments to increase the resistance if needed. The vest is made of heavy-duty reinforced nylon, featuring padded shoulders for added comfort during workouts. The Weighted Vests are completely adjustable for maximum comfort. The vest gives you the comfort and flexibility of movement while working out with it. With adjustable straps around the shoulders and bottom of the vest, it ensures that the vest will not move or shift on you as you are training with it on. Vest Height from top of shoulders to bottom of vest - 15"